Come to those who wait – a saying perfectly apt for a pint of Guinness or my search for a job which allowed me to stick two fingers up at the idiots who run Odeon Chelmsford (and it’s chavvy/up their own arse customers). A saying equally apt for most of my sporting idols to triumph (Man Utd and Roger Federer side). 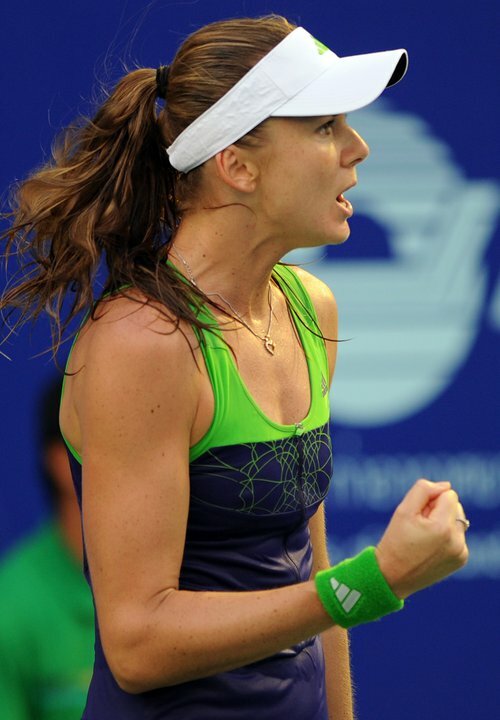 Daniela Hantuchova is no exception – bags of talent and power coupled with grace and touch but with a mental state more fragile than a cobweb. Only the fifth player in history to achieve the Career Grand Slam (in Mixed Doubles admittedly) and more than a couple of stints in the world’s top ten her ability would suggest a title haul of significantly more than the paltry three (Indian Wells 2002 and 2007 and Linz 2007) amassed by the age of 27. So raise a glass to title number 4 – on Sunday in Pattaya City, Thailand, beating World Number 3 Zvonareva and without dropping a set throughout. Hopefully a return to the top ten or fifteen beckons.